Fraud and Proceeds Of Crime Act Solicitor. The Proceeds of Crime Act can apply if you have been accused of Fraud or Money Laundering Offences or have been convicted of a “lifestyle” criminal offence such as drugs dealing. A prosecuting authority will want to know how you were able to purchase property or how you were able to afford a sports car or expensive holiday. At Emmersons Fraud and Proceeds of Crime Act Solicitors, we understand that it is really important to obtain help from a solicitor as soon as possible. This is different to other areas of criminal law where the prosecuting body must prove its case. Under POCA it is for the accused to prove the legitimacy of assets that they own. You must be able to explain how you obtained property and goods and you must be able to justify the money held in your bank accounts. The prosecuting authorities under the Proceeds of Crime Act have very wide ranging powers. 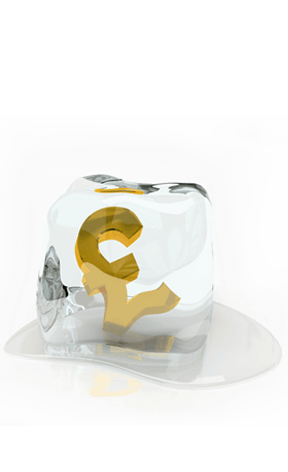 They can freeze your assets and your bank accounts and those of your spouse or business partner. They can prevent disposals of or the re-mortgaging of property whilst they investigate. Such investigations can take months or even years. You may be asked to provide a statement under S18 of POCA explaining how you obtained property goods or money. In our experience the first mistake that clients make is to be too vague. This is likely to lead to a court making an adverse inference against you. The onus is upon the person being investigated to provide as much detailed information as possible. Why Use Emmersons Fraud and Proceeds of Crime Act Solicitors? Michael Robinson of Emmersons Solicitors has helped many of our clients to eliminate or reduce the amount of money that has been ordered to be paid to the state. He has defended cases on a nationwide basis and regional cases across the North East. Emmersons Solicitors has established expertise in tackling Restraint Orders. Clients are often extremely distressed when they are subject to such investigations. Sometimes their family home is at stake. Michael helps clients to stay calm. He is thorough in his investigation and preparation of cases. In a recent matter he was able to save the family home because of the time he spent obtaining proof from our client’s partner as to ownership of a property and financial contributions to it. Our offices are based in the easy to access central locations of Gosforth, Newcastle upon Tyne and Sunderland covering the whole of the North East. Your Fraud Experts, Read our Latet News and Articles. Proceeds of Crime - what is it about? What Could Possibly Go Wrong If You Represent Yourself In A Police Station Or Court?